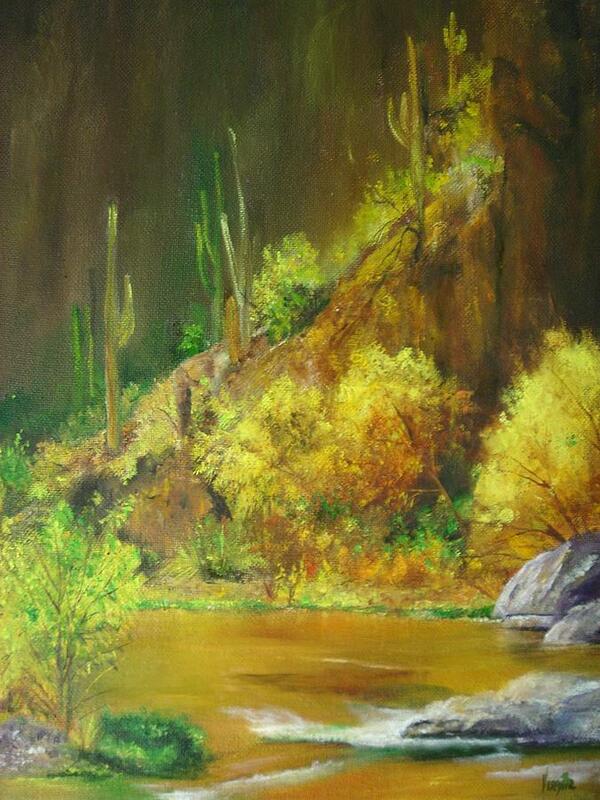 Vibrant Landscape Paintings - Arizona Canyon Scene - Virgilla Art is a painting by Virgilla Lammons which was uploaded on January 12th, 2010. 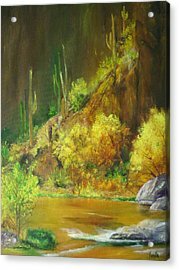 A vibrant and colorful Arizona canyon scene which draws you into this peaceful scene of flowing water, cactus, native Arizona plants and trees. 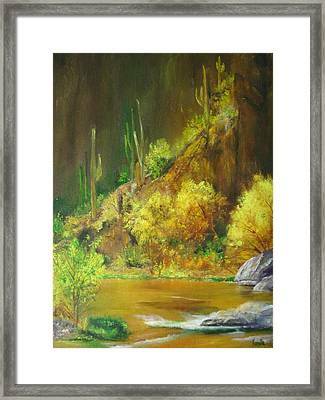 Painted in a styalized realism, this work of art is sure to add color and enhance your room decor.